Call and order, now digging. 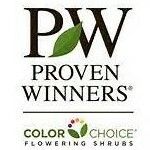 is the perfect accent for any garden, no matter the size. 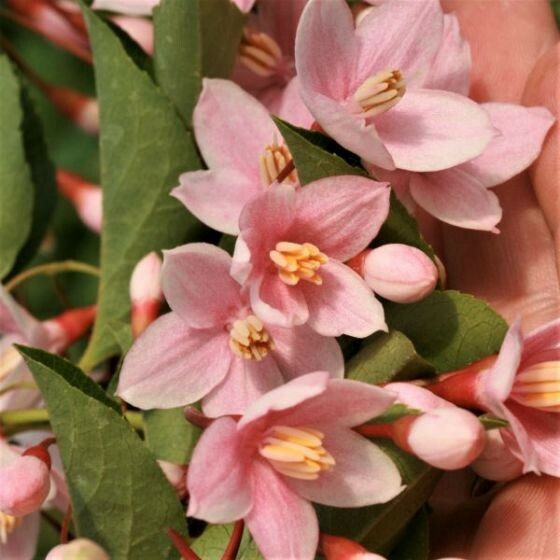 This petite weeping flowering tree will fit comfortably into your foundation plantings, mixed borders, or any of the landscape beds around your home in need of a distinctive focal point that won’t get out of control. 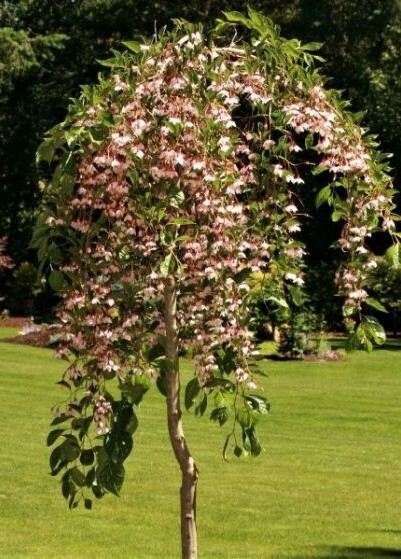 Plant Marley’s Pink Parasol near a path or sitting area, so you and your guests can appreciate the cascade of late spring and early summer blossoms at close range. The bubblegum-pink flowers hang from the branches like little bells, and they smell like cotton candy. In fall, the tree will delight you once more when the foliage turns a lively lemon-yellow. Winter Care: Frost sensitive when tree is young.